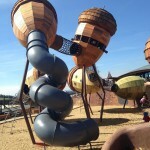 What a brilliant area to explore with kids! From caves, to beaches, to crocodiles – there is so much to see and do for young families on holidays. 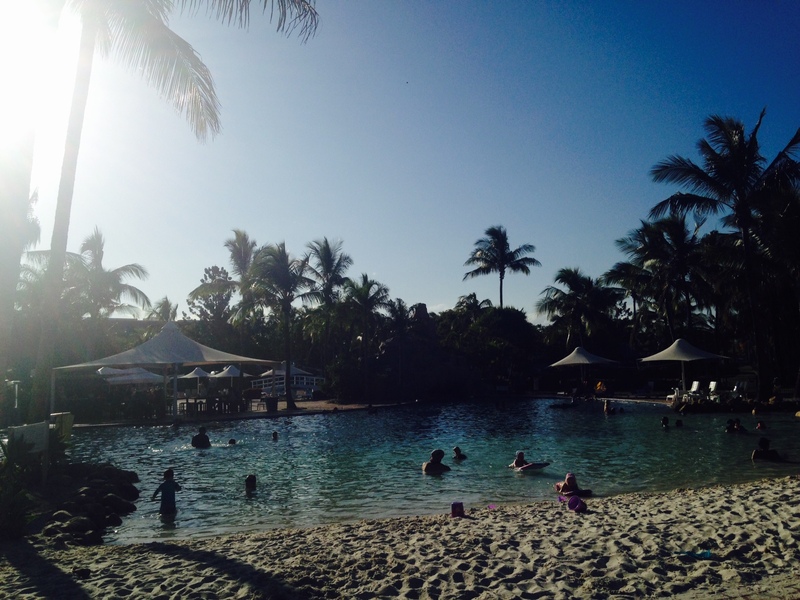 This year for our summer holiday, my husband and I decided to stay in Australia with our three kids aged 9, 8 and 5 and do a driving holiday through Queensland. 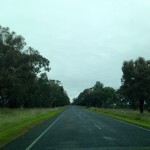 We left Canberra and drove for two full days covering almost 1600km. It was a long way with three kids in tow, but once we reached Rockhampton it was worth every minute. Rockhampton is situated on Queensland’s Capricorn Coast about 600 km north of Brisbane. It has a population of almost 74,000 and is a hub for many outlying rural and regional areas. The website boasts it experiences ‘over 300 days of sunshine each year’ and lies on the Tropic of Capricorn making it a perfect holiday destination. It survives on mining, agriculture and tourism. 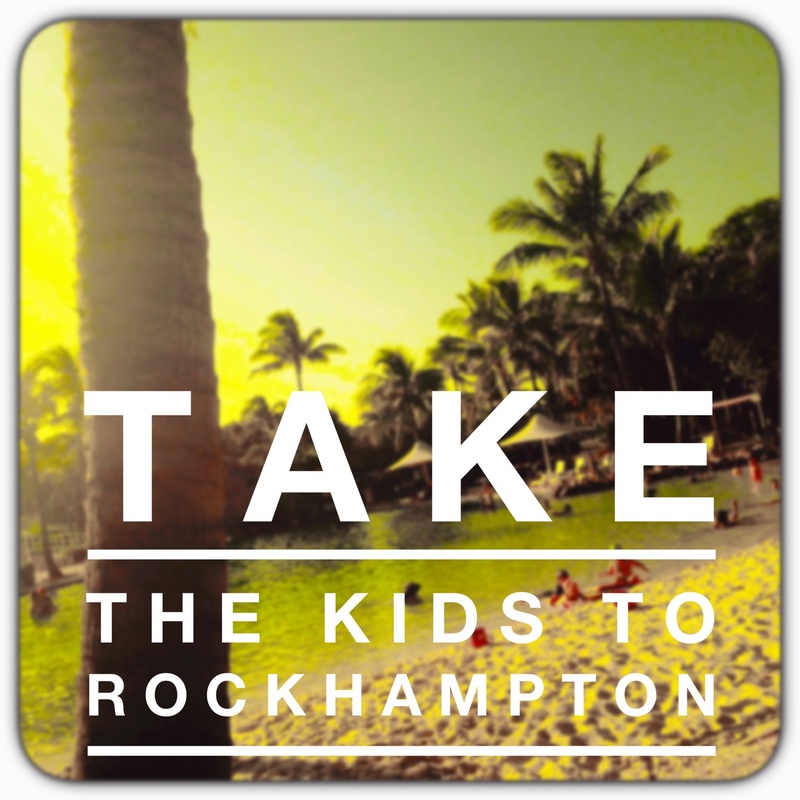 Here are 5 things to do with kids around the Rockhampton area. Yeppoon is a lovely coastal village about 30 minutes East of Rockhampton and well worth the drive. We stayed at the Mercure Capricorn Resort for three nights in a great room with a huge, luxurious pool. There was also a water slide but only open 11.30am-12.30pm and 3.30pm-4.30pm – always when we were exploring something else. The meals at Lagoon Restaurant were some of the best we have ever had, although a little pricey with kids menu from $10.50 up. We also spent two nights camping at the Big 4 Capricorn Palms caravan park. The pool was great with a slide, the jumping pillow was also a hit and the showing of nightly kids movies in the outdoor cinema, however Yeppoon was experiencing a heat wave with a high of 38 during the day and 35 overnight as well as major tropical storms both nights making it not conducive to fun in a tent. There are some good little shops in the town of Yeppoon with Lure Living being our favourite for daily coffee and cake. The coast is lined by beautiful, pristine beaches and after talking to a couple of locals we realized why there weren’t many swimmers on these beaches – crocodiles and stingers. Yeppoon is the base for ferries across to Great Keppel Island to experience the great sandy beaches. Staying here: Mercure Capricorn Resort costs between $180 and $230 per night for a two bedroom room. Big 4 Capricorn Palms caravan park is $27 for a powered site per night. 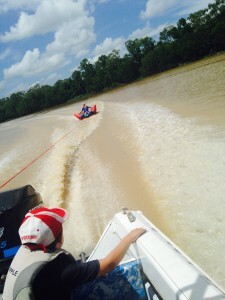 One of the highlights of our stay was tubing on the Fitzroy River. My best friend’s cousins live in Rockhampton and they have a ski boat. The kids and my husband had a ball tubing and skiing up the river for a morning. It was a little swollen from a recent flood and the water was chocolate brown, but the smiles on the kids faces in full flight of tubing was priceless. As we arrived at the river, the wife pulled me aside to warn me that crocodiles had been seen in the river and the nearest croc was 6 miles up. The locals all swim in it and no attacks have been recorded on the river – phew! The husband did another quick scan along the banks and came back to report to everyone that he didn’t see any crocs and the radio reports said we were all good. The kids eyes bulged wide and we were all fine. What an experience! Getting there: There is a boat ramp at Ramsden Street, Wandal. Check croc warnings on the radio before you enter the river and be aware when you’re there. More about the river here. If you want to show your kids a croc up close and personal – this is the place to go! Thankfully we went to the Crocodile farm after our Fitzroy River tubing experience. 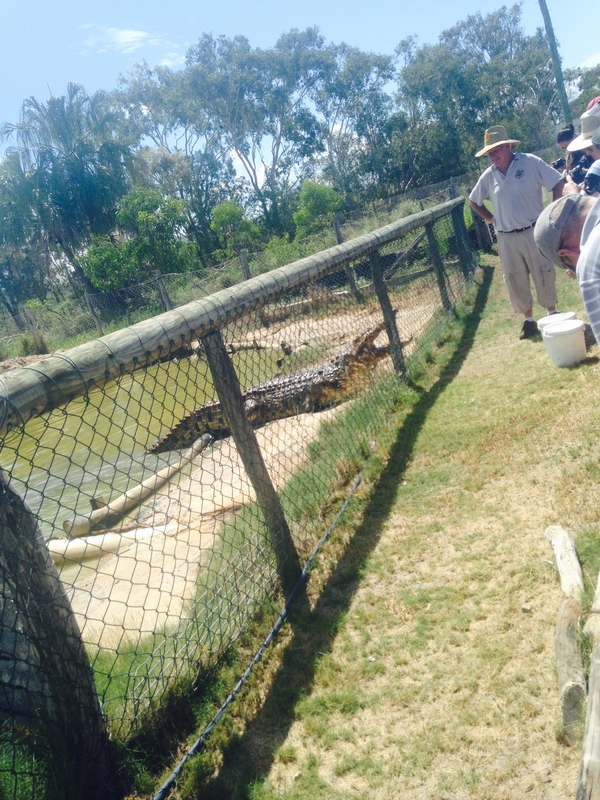 Crocodile man, John Lever has had his farm going since 1981 and it was the first approved croc farm in QLD. Now, there are more than 3,500 crocodiles on the farm with crocodiles of all ages and stages. On arrival, there are about 20 small lagoons dotted around the main hut that look lifeless – you will soon find out they are not! 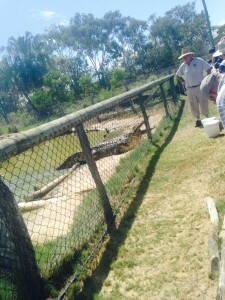 There are two tours each day at Kookana Crocodile Farm – 10.30am and 1pm with lunch served between 12pm and 1pm. John gives a great talk about the importance of crocodile conservation and shows a small video of crocodiles hatching from the incubated eggs on the farm and daily routines. This is followed by a 40 minute walk around the farm to feed the crocs. Each croc has a story. The biggest crocodile there is named Bundy and his girlfriend is Coke – Coke was nesting when we were there and didn’t take kindly to John walking up the fence. The kids were in awe of their sheer size and fascinated that crocs come from the dinosaur age. Getting here: Tickets cost $28 per adult and $13 per child with under 3 free. It is half way between Rockhampton and Yeppoon, 65 Savages Road Coowonga – more here. 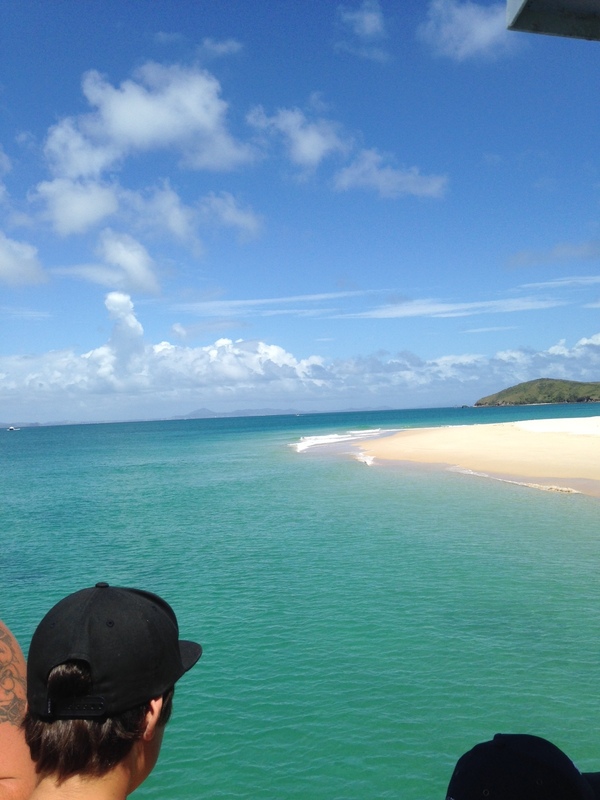 When it is time to relax on a beach, head to Great Keppel Island. Ferries leave Rosslyn Pier at 9am most mornings. We caught the ferry and also did the glass bottom boat tour. If you or the kids have never seen coral before, it is worth it – if you have, the coral is brown with the occasional burst of blue and white with a couple of fish swimming around the edges. We saw a couple of turtles swimming about. The glass bottom boat gave our kids a taste to explore the Great Barrier Reef in future, but I was a little disappointed with the lack of colourful coral and fish after spending some time higher up on the Great Barrier Reef. There is not much out at the Island these days, so take a picnic with lots of water if it’s hot and spend time lolling in the beautiful, crystal clear warm water. The sand is soft and ideal for building sandcastles. There are many treasures to be found on the beach including coral, shells and even star fish – of course you can’t take them home as it’s a protected reef. There is a hire place as you get off the ferry with snorkeling gear, paddle boards, kayaks and tubing available. We took the kids goggles and flippers and they had fun at the edge of the main beach finding starfish, small pieces of coral, fish and the odd sea cucumber and star fish. Getting here: Head to Rosslyn Pier, about 10 minutes by car south of Yeppoon. There is a bus from the main town to the ferry pier. The glass bottom boat Coral Cruise + ferry to the Island cost $270 for 5 of us for the day. There are other options to explore Great Keppel on sailing boats, private hire, more here. About 30 minutes out of Rockhampton on the Emerald road, you will find a truly rustic experience fossicking for Thunder Eggs. As remnants of an ancient volcano, there are some beautiful rocks with treasures to be found inside. The couple who run the experience are as rustic as the experience and their love and passion for rocks seemed to rub off on all of us. As you drive up the dirt driveway, you enter a tourist attraction from the 1980s with a wooden seesaw and a big working shed where you start your adventure. You get a water bucket, scrubber and a pick and are given a short history of the volcano and the area. A 2 minute walk away, you arrive at big mounds of dirt. Fortunately, there had been some floods before we got there that had washed some of the dirt off the thunder eggs and we could see them more easily. You literally use your picks to dig in the dirt and find rocks that when cut open could be real treasures (or not). After collecting the rocks and giving them a bang with your pick to take some dirt off, you head back to the shed where the owner helps you find the best three or four thunder eggs (rocks) to cut in half with their saws. 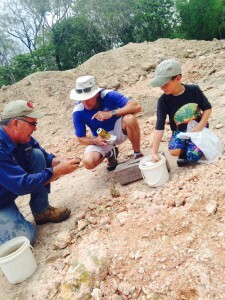 We found ourselves getting right into the treasure we had found in our rocks and the beauty that came from them. My husband and son made the call it was the best day we had in the Rockhampton area! While I was there, memories from my Granny and Grandpa stories of yesteryear came flooding back. They would travel through the gem fields of Central QLD in their caravan to find many precious stones like amethysts, sapphires and emeralds. I have two of their finds as rings on my fingers right now. It was exciting having the kids trace the footsteps of their great grandparents who are no longer with us. Getting here: From Rockhampton, drive west on the A4 (Capricorn Highway) and look for small, weather signs saying Mount Hay Thunder eggs – they are hard to find. Make sure you have closed in shoes. 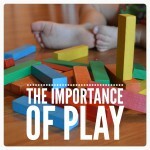 Cost is $25 per adult, $15 per child and a discount rate for families. Experience wildlife – The kids had their first encounter with a cane toad and spent a while morning catching baby toads. We saw loggerhead turtles, massive star fish, crocodiles up close, geckos, lots of different hornets and wasps, a whip snake (much to my horror! ), Brahman cattle and a massive colony of bats. Ride camels – Camel rides are available from Mercure Capricorn Resort with a 1 hour ride up the beach costing $25 per person. Go to Cooberrie Park Wildlife Sanctuary – 15 minutes from Yeppoon, you can apparently cuddle a koala, hold a crocodile or snake and hand feed a kangaroo. See the massive cattle – Every Friday there is a cattle action at the local Rockhampton saleyards, the largest export auction in QLD. Explore the Capricorn Caves – About 15 minutes north of Rockhampton, these limestone caves are plentiful with tunnels to explore and are Queensland’s longest operating tourist attraction. Got something to add? Let me know on Facebook, Twitter or Instagram. 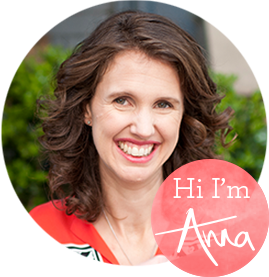 Anna is a Parent Educator, holds a Bachelor of Education (Primary), a Bachelor of Communications and is a freelance writer about parenting. 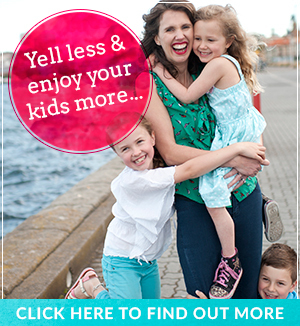 She has three beautiful, highly spirited children aged 9, 8 and 5. 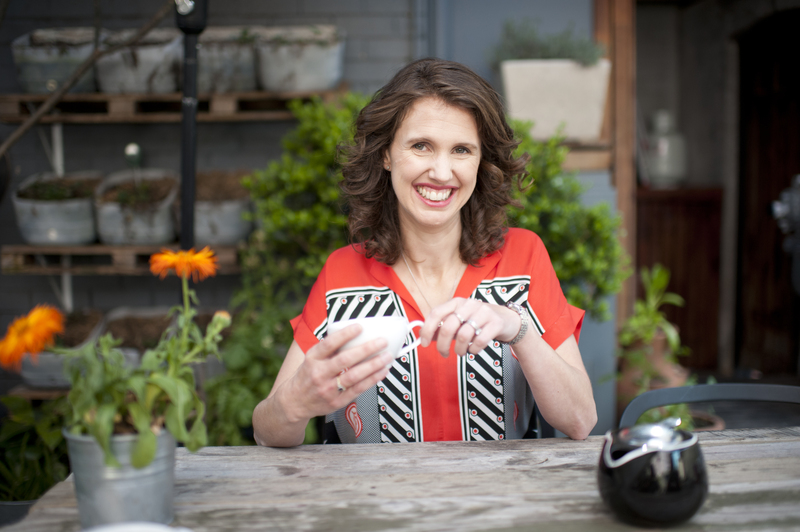 Anna created Positive Parenting with Anna Partridge to share the inspirations and joys about raising the next generation and to allow mums to think about the ‘big picture’ of parenting by providing tips and advice to instil the right habits, values and beliefs in their children from the start. She is privileged to work alongside families to create calm and balance, help raise confident and resilience kids and maintain strong and connected relationships. www.annapartridge.com. 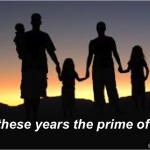 Are we in the prime of our life? Wow Anna, you did Queensland (Rockhampton) PROUD. What an amazing adventure. Yeppoon is beautiful and I’m sure travel bloggers would love to share this blog on their page too. I live in Queensland and it truly is a magical place to live and holiday with family. Thank you for sharing the beauty of it. Pleasure Kerry – we really had the best time exploring the area and finding the natural beauty it holds. Next time we will have to come further up to your part of the world! Looks great. We did a bit of travelling up the coast when we lived in NSW but not enough. Can’t wait to head back and have a decent holiday with our girls. Rockhampton is definitely on the road trip list. 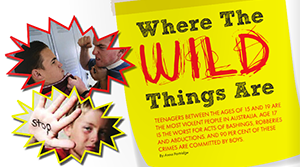 @Mystery Case – have a brilliant time when you do go! It is surely part of the world worth exploring.